We offer animal therapy to our local community. We can bring our small animals and Pumpkin the mini pony to your facility! 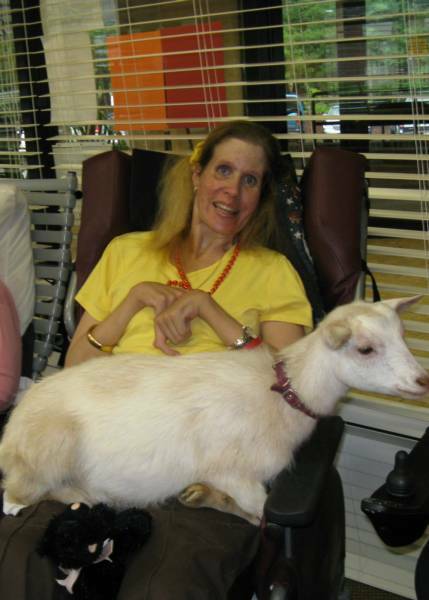 In addition to our mobile petting zoos Enchanted Animal Parties can also host pet therapy events at your facility. Pet therapy is a growing area where we are seeing results in both mental health and wellness along with improving gross motor skills. The Mayo Clinic has advised that pet therapy can significantly reduce pain, anxiety, depression, and fatigue in people with a variety of health problems. This can be especially valuable to people in long-term care facilities and to veterans recovering from post-traumatic stress disorder. Additionally pet therapy is also seeing growth in non-medical settings such as universities and community programs to better help people cope with anxiety and stress. We can set up events either inside or outside depending on your preference. For these events we can bring a variety of animals to meet your needs. 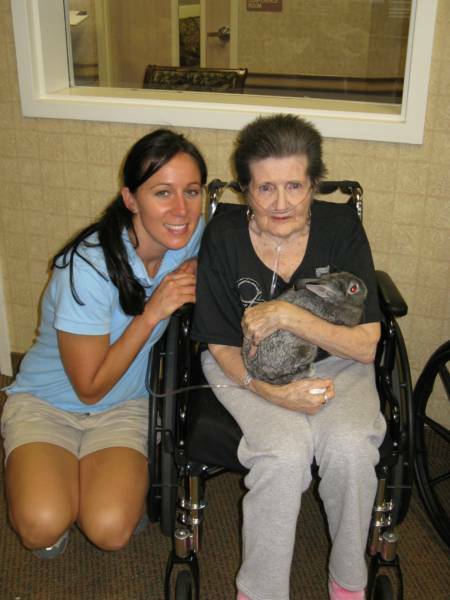 For elderly patients and young children we pass around our baby animals wrapped up in blankets. This allows people to hold them, pet them, and feel how soft or how coarse they feel. The tactile sensations are very helpful to people, and both adults and children light up as they pet the animals. 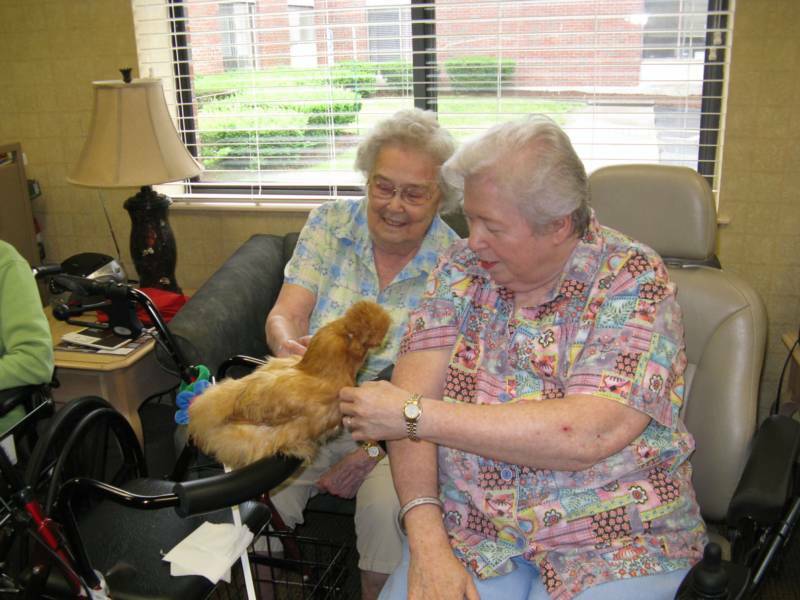 We have worked with assisted living facilities, nursing homes, mental health facilities, and various healthcare organizations throughout Boston and the local area.. We have found that the animals help people focus, relax, and often are peacefully smiling after their visits. Clients have also reported that the animals have helped trigger memories, such as growing up with animals and of happier times. In cases of patients who are confined to their room, or a particular floor we are happy to make arrangements to bring animals up to them so they can enjoy the benefits. Our pet therapy events are also beneficial to children and adults suffering from anxiety, depression, or children who struggle with learning difficulties. We have found by introducing the animals to the children in a learning environment that children are better able to focus on the animals and comprehend. Teachers who read to the children while they pet the animals have reported that it helps with the children’s comprehension. Pet therapy has also proven very helpful for children with autism. Children are better able to connect the dots and ideas click from being able to focus on the animals. For pet therapy we can bring your choices of ponies, horses, donkeys, alpaca, baby goats, sheep, lambs, chickens, baby chicks, baby bunnies, Duck, or ducklings. We are happy to work with you to bring the animals that will work best with your group. If you have any questions on pet therapy please let us know. We will be happy to review the animals we have available and discuss what may work best for you.